By all appearances, the pastor and his ministry were thriving. New people were visiting, members were growing in their walk with the Lord, and missions was an exciting arm of the church. There was no sign of any problem. Months later, though, the mask was ripped off, and the pastor’s consistent moral failure was revealed. A missionary was spending thousands of support dollars on lavish personal conveniences. A church member disguised his spiritual apathy and lack of devotion to his wife through years of performance in church events. How do these and many other sinful choices go on for so long without being noticed? While each person is responsible for his own actions, many spiritual battles can be won through loving accountability. The world has never known a greater preacher than Jesus! There is no other perfect example of teacher, pastor, friend, father, spouse, or brother. He who is called “Wonderful Counselor” is also the perfect pattern for counselors. Who but Jesus could ever set himself up as the highest model of knowledge, wisdom, compassion, patience, or love? Can anyone construct or apply an illustration as masterfully as Jesus did? Is there a greater soul-winner we could look to for instruction or inspiration? Have any mastered the ability to aim questions directed at individuals so effectively and wisely as He? Jesus is the creator and giver of all these good gifts. He is the standard by which we judge success and failure, right and wrong, good and evil. He is the pattern we are to follow in all things that pertain to life and godliness. He is our hero, our God, our King, and our great Captain of the host. He alone is qualified to own our complete devotion, allegiance, and adoration. When we aspire to serve Him in any capacity, He intends for us to seek Him first for instruction and guidance. Our admiration and focus are to be fixed on Him until His pattern and image are permanently etched into our minds. Then and only then can we even begin to discern the acceptable manner in which we are to carry out the Great Commission and minister to others. Showered with Stones or Grace? As the crowd watched, she was dragged into the center court of the temple. The scribes and Pharisees had the stones in their hands, and they were prepared to kill her. They told Jesus her crime. 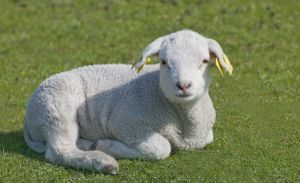 “She was caught in the act of adultery.” Then they tried to trap Him into an answer by saying that Moses had commanded them to stone an adulterer and by asking Jesus what He would do. Jesus, “full of grace and truth” (John 1:14), gave a beautiful and wise statement. “He who is without sin among you, let him be the first to throw a stone at her” (John 8:7, NASB). No one fit that criteria, so they dropped their stones and walked away. 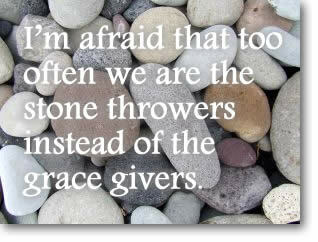 I’m afraid that too often we are the stone throwers instead of the grace givers. Our brothers and sisters in Christ fall, and we leave them lying in the ditch of their sin instead of lifting them up and helping to set their feet on the right path again. The Bible has much to say about sin and its devastating consequences. We know verses like “the way of transgressors is hard” (Prov. 13:15) and “be sure your sin will find you out” (Num. 32:23). We see examples of people like Achan, whose sin affected the whole nation of Israel. So I don’t ever want to minimize the serious results of sin. Read more about Showered with Stones or Grace? Fox News reports on a chaplain shortage in the Army National Guard. See here. Note: This year at SI, we’d like to feature stories of life change. If you are aware of a story that is current and shows the power of Christ in the life, please email it to jasonjanz@sharperiron.org. 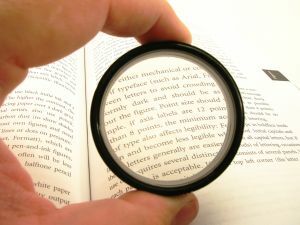 The stories should be 1,500 to 2,000 words long and should include a photo. Also, we’d like to have a pastor’s recommendation sent along with the testimony. We trust these stories will be a blessing to you and will help us all to be reminded why we are here. When you feel as though you have no right to live, or nothing to live for, you begin to act on the belief that nothing around you has that right either. There was a time in my life when I had no feeling, not even for myself. I was constantly creating and destroying life. I had no understanding of how to live, and God refused to let me die. Fortunately, I had the opportunity to hear an angel speak, to feel my heart pierced, and to see my life forever changed.